Great customer service has always been a top business priority. Customers expect to get questions answered or issues resolved immediately. However, most organizations struggle to meet those expectations. In this report, uncover 3 characteristics that separate the companies with the very best customer service from those that struggle, top challenges facing customer service managers, and strategies for delivering excellent service. 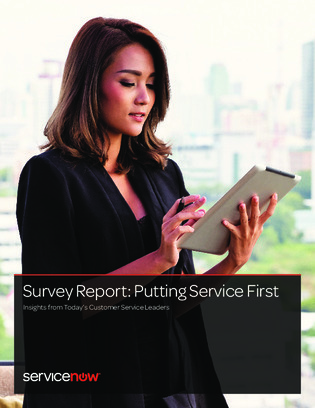 Continue reading to explore more survey findings and key takeaways for companies looking to deliver best-in-class customer service.